Kate has close to two decades of experience as a storyliner, script writer, script editor and head writer. Kate was part of the storylining team for series 5 of the much loved comedy-drama Go Girls. She acted as head writer and script editor for Go Girls series 2 and has written or co-written, 23 scripts across all five series. Kate has also written scripts for the award-winning drama series Outrageous Fortune (series 2, 3, 4 and 5), and worked as a storyliner on comedy drama, Nothing Trivial. She has also written scripts for Jackson’s Wharf, Mercy Peak (series 2 and 3) and the second series of Being Eve,and script edited Being Eve. She is the creator and head writer of comedy drama series, Step Dave which is now in its second season. 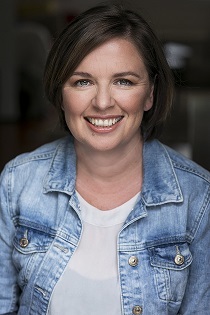 Over twelve years ago, Kate joined South Pacific Pictures’ Shortland Street serial as a storyliner and, and has worked for the production as both a script editor and story editor, as well as writing numerous scripts. She was the writer for a one-hour special The Good, the Bad and the Ugly – the Best of Shortland Street 2005 and for Shortland Street’s 10 year anniversary special. She also co-wrote the text for two books celebrating Shortland Street’s 15 year anniversary.